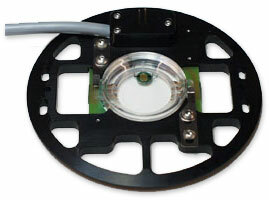 The Bioptechs Delta T Stage adapter reads the temperature of the Delta T Dishes, provides electrical contacts to power the dishes and supports the dish on the stage for translation. 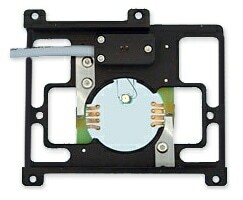 All Delta T systems require a Stage Adapter. 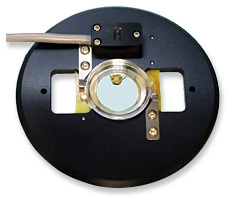 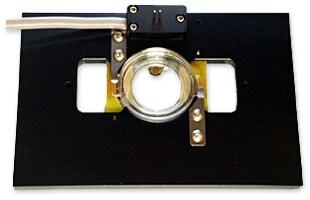 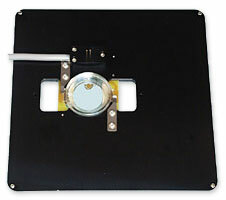 These pictures are provided to assist in selecting a stage adapter appropriate for your microscope. 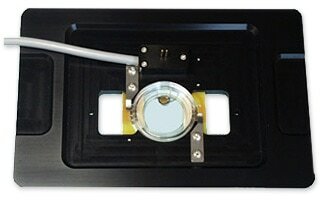 Bioptechs recently improved all of its stage adapters to maximize the area of the culture dish available for viewing. 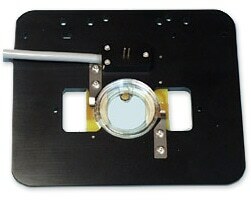 With previous models, peripheral regions of the dish were inaccessible, particularly when using high N.A. 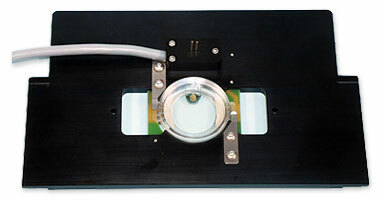 objectives (i.e., oil immersion).